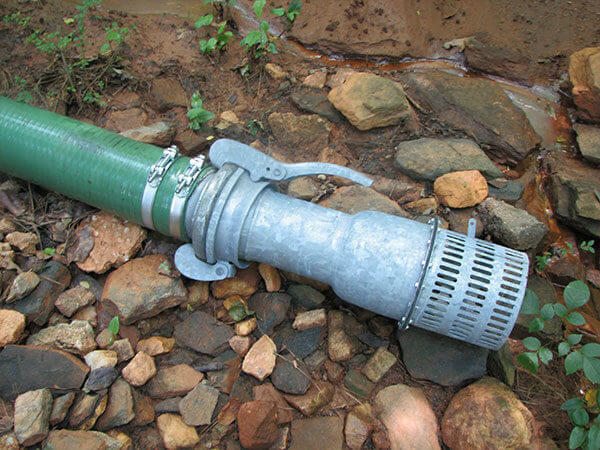 Available in black, aluminum and galvanized steel assuring complete versatility in applications including irrigation, road construction, water delivery in mines, civil projects, suction lines, dewatering, by pass lines, chemical and food industries, waste and fresh water, sludge, bentonite, powder and granular material in different applications like irrigation, road construction, water delivery in the mines, civil projects and dewatering. 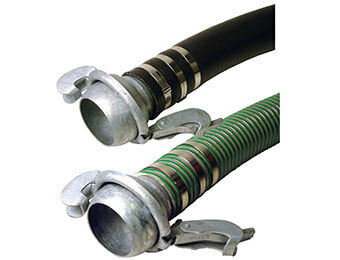 (BAUER COMPATIBLE) with an advanced design, has a pin locking lever for smoother closing action. 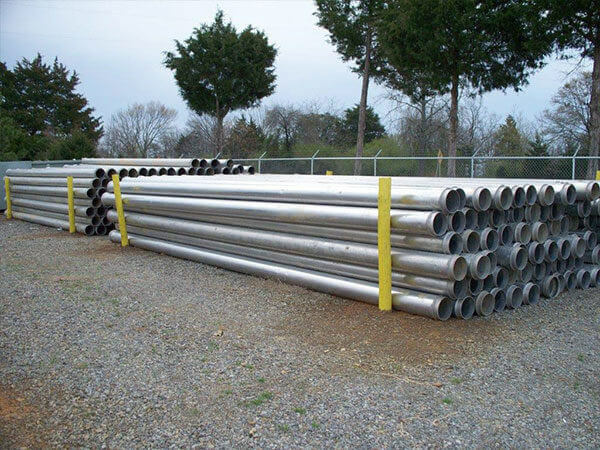 Available in black, aluminum and galvanized steel. 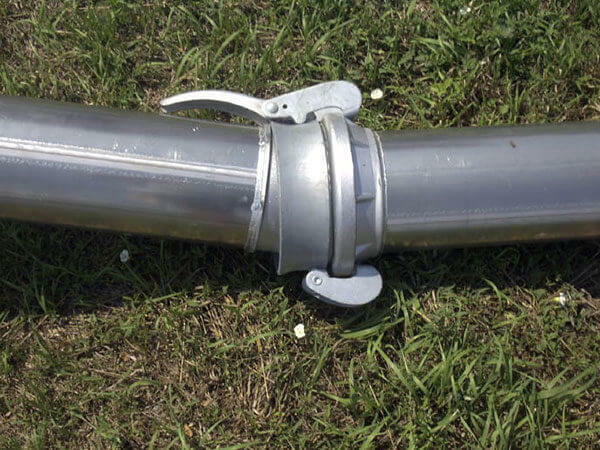 Available in black and galvanized steel and assures the possibility of transportation of various types of media like: waste and fresh water, sludge, bentonite, powder and granular material in different applications like irrigation, road construction, water delivery in the mines, civil projects and dewatering. 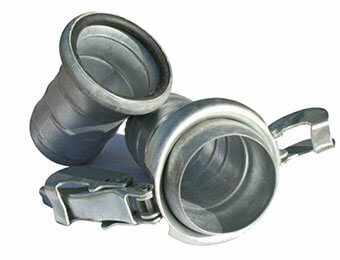 Aluminum camlock fittings offer a steady pressure rating at an affordable cost. 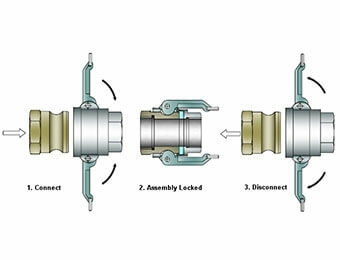 These camlock couplings are manufactured with a permanent mold casting allowing for optimum strength capabilities. 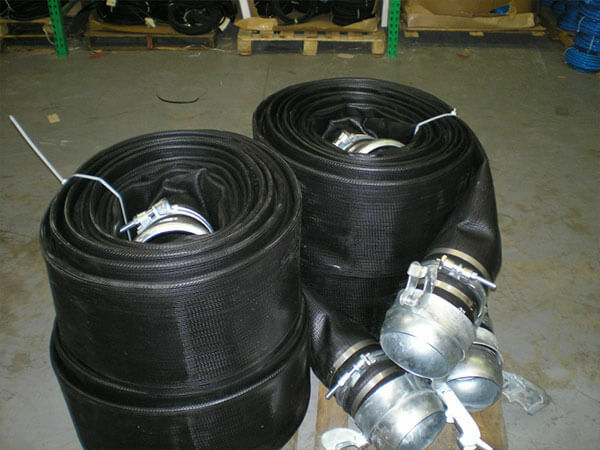 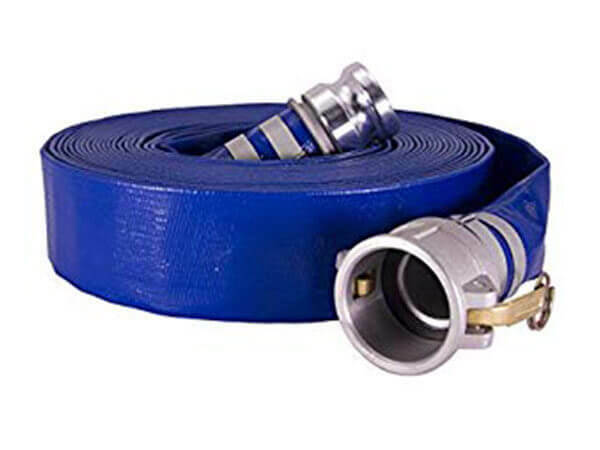 Extremely durable, heavy duty hose designed for rough and tough service applications. 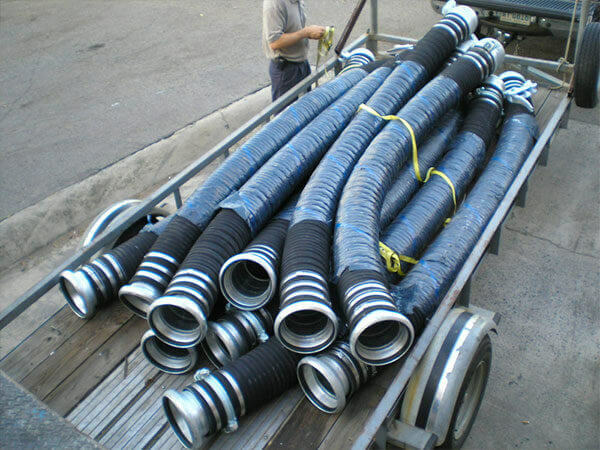 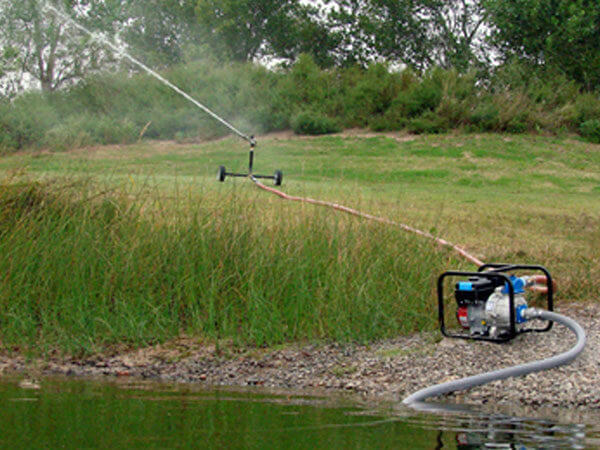 The solution to those hard to handle discharge and suction hose requirements. Heavy duty single bolt Atlantic clamps are manufactured from high grade mild steel and zinc plated for strength and long life. 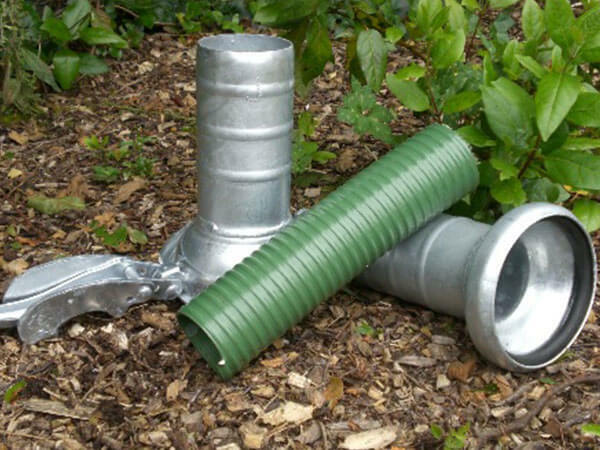 The B-Type fitting assembly is quick and easy with three manual moves, warranting a fitness to the most problematical situations thanks to a cone deviation up to 30 degrees and high working pressures. 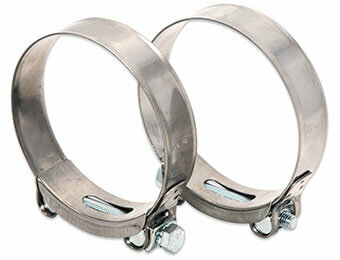 The Ringlock fitting assembly is quick and easy with its quick release clamp. 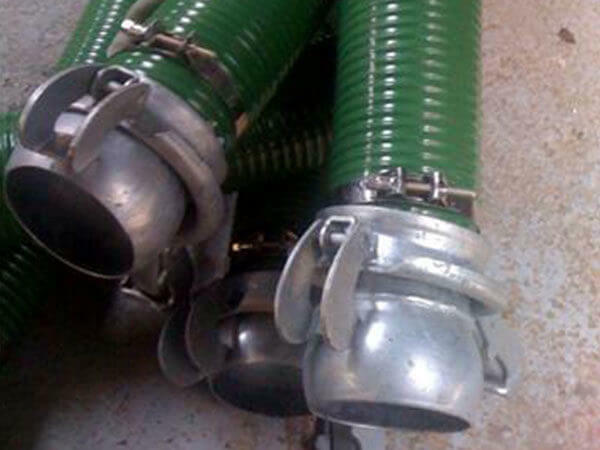 Used in the transmission of water and the irrigation of crops all over the world. 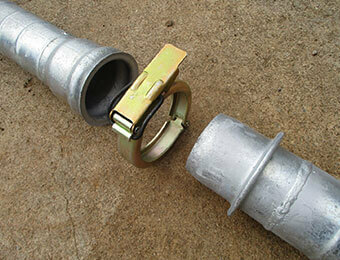 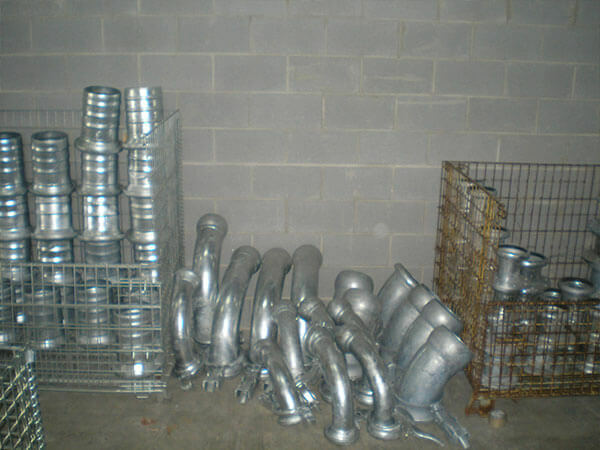 Suitable for high pressure discharge pump fittings and suction. 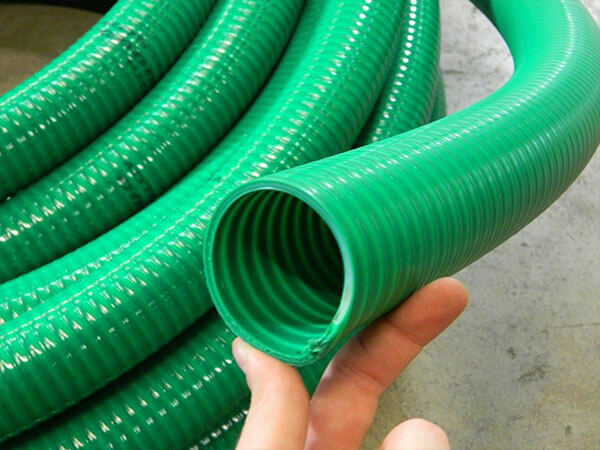 With increased possibility of tightening several diameters with the same clamp. 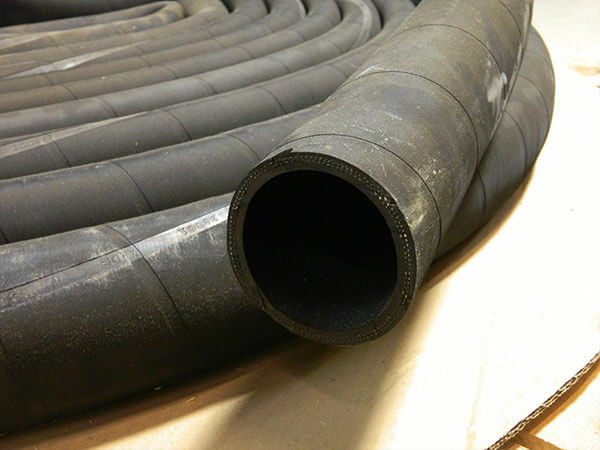 High pressure discharge and suction hoses are suitable for all situations from irrigation to mining even in critical environmental conditions.